Do the souls of believers “sleep” after death until the resurrection? Q. Some people say that if you are going to heaven, you go right away after you die. Others think that you just “sleep” until the second coming. 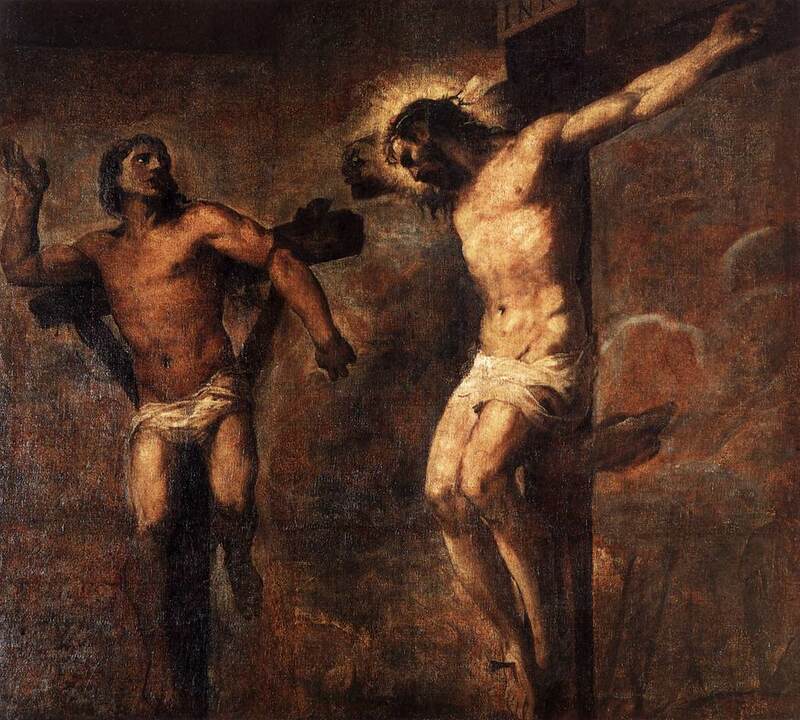 (One snag in this idea might be Jesus saying to the thief on the cross, “Truly I say to you, this day you will be with me in Paradise.”) What do you think? You’re actually asking about an issue that has been the subject of continual debate throughout the history of the Christian church. References to controversy over the subject extend back to at least the AD 240s. The debate remains lively today. The actual issue is whether the soul is immortal, in which case it survives death, or whether it is mortal, in which case it dies with the body and is resurrected with the body, or else it “sleeps” until the body is resurrected (perhaps “dreaming,” as some have suggested, of life in the person’s future ultimate state). There is, of course, no philosophical discussion in the Bible as to the mortality or immortality of the soul. (The Bible isn’t that kind of book.) So we have to try to come to some conclusion about this based on what the Bible does say. • The author of Hebrews writes that we are “surrounded by a great cloud of witnesses.” I believe this means more than that the lives of faithful people, catalogued just before this statement (Abel, Enoch, Noah, Abraham, etc. ), are witnesses and inspiring examples to us. I believe the author is saying that such people are currently witnesses of our lives, so that we should “run the race” in the awareness that they are in the grandstands, as it were, cheering us on. But this means that they would have to be conscious and aware, looking on from a heavenly vantage point. • As you mentioned, Jesus told the thief on the cross that he would be with him “today” in Paradise. These are only a few of the passages that could be considered in support of the immortality of the soul. I don’t doubt that proponents of soul mortality would counter with some passages of their own. This is, in short, a question on which people of good will who are equally committed to the authority and inspiration of the Scriptures have long disagreed. So we each need to be “fully convinced in our own minds” but respectful of the other position. Still, as I said, all things considered, my overall sense from the Bible is that the soul of a believer does pass directly and consciously into the presence of God upon death. When I was a young child, I remember that we would go on long car rides to various places. We often left very early in the morning so that my brother and I would sleep in the car for most of the trip. One consequence sleeping in the car was that the trip seemed (from the perspective of the sleepers) to last only a moment in time, even if it lasted several hours for the weary driver-parents. But as far as I was concerned, if I could fall asleep in the car, then I arrived at the destination, for all intents and purposes, immediately! Thus, from my perspective, there was no effective difference between being asleep for three hours while time passed (the actual situation) vs. falling asleep causing our car to transport immediately through time and space (a la Madeleine L’Engle) to our destination. As you mentioned, there has been a long debate throughout church history whether the soul is mortal (and resurrected with the body) or immortal (and asleep until the body is resurrected), which will probably not be resolved anytime soon, much less in this blog post. However, my question is: What are the practical consequences of this distinction? If it is the case that the soul is (im)mortal, how does my understanding of (and therefore my interaction with) Jesus, the Bible, etc. change from what it was? I think the only real practical consequence in this life (since, as you say, we would probably not notice a difference after this life) is our ability to say (or not), “The moment I die, I’m going to see my Jesus face to face.” This, I find, is more hopeful than saying, “After I die, I’m going to see my Jesus face to face after sleeping years or even centuries until the final resurrection, although I won’t realize that this time has passed.” But maybe the divide can be bridged by saying something like, “After I die, the very next thing I know, I’ll be seeing my Jesus face to face.” That’s hopeful and positive and encompasses both possibilities, that the soul is either mortal or immortal. The translator should have moved the comma two words to the right, it would have been more accurate. “Truly I say to you, this day you will be with me in Paradise.” A comma between “day, this”. Previous Previous post: Has the Holy Spirit ever taken on human form? Next Next post: Does God know in advance who will be the Antichrist?